Some of SAP journals offer 30% discount on article processing charges for the purpose of attracting high quality articles. The discount is effective for submissions from November 1, 2015-May 31, 2019. 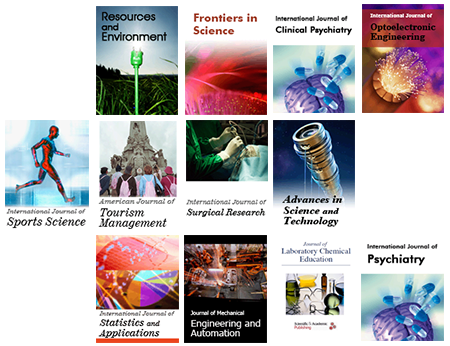 All Special issues feature specifically aimed and targeted topics of interest contributed by authors responding to a particular Call for Papers or by invitation, edited by guest editor(s). 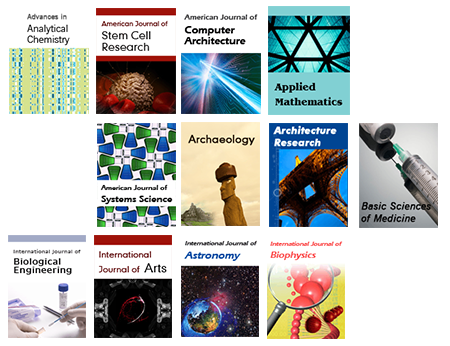 We encourage you to submit proposals for creating special issues in areas that are of interest to the Journal. We sincerely welcome all you authors to deliver your precious book manuscripts to us, and we are going to do our utmost to help your works be published under your requirements to your satisfaction. We aim to add value to your books by offering high-quality services and expertise not available anywhere else. What’s more, we offer increased visibility for your book through our large community of respected and well-known resources. 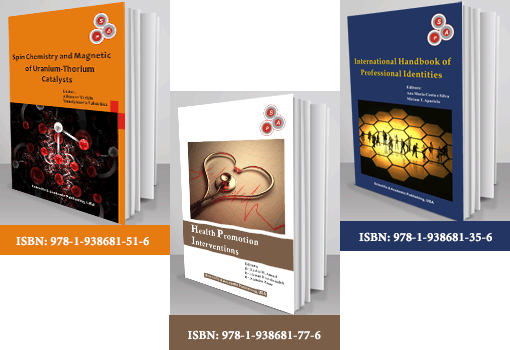 If you want to publish your own books, please feel free to contact our book publishing business at: book@sapub.org. This paper presents a low cost and flexible home control and monitoring system using an embedded micro-web server, with IP connectivity for accessing and controlling devices and appliances remotely using Android based Smart phone app. The proposed system does not require a dedicated server PC with respect to similar systems and offers a novel communication protocol to monitor and control the home environment with more than just the switching functionality. To demonstrate the feasibility and effectiveness of this system, devices such as light switches, power plug, temperature sensor and current sensor have been integrated with the proposed home control system. Aqueous two phase system (ATPS) is a liquid – liquid extraction method which employs two aqueous phases having applications in the field of biotechnology for the separation and purification of biological materials such as proteins, enzymes, nucleic acids, virus, antibodies and cell organelles. This review discusses the basic principles of ATPS, the factors affecting partitioning, optimization by design of experiments and the recent applications like extractive fermentation, membrane supported liquid – liquid extraction and aqueous two phase floatation. A comparative study between ATPS and other conventional methods is also discussed. The emphasis is given to PEG/salt two-phase systems because of the low cost of the system. The following general guidelines may help you in preparing and editing the special issue and you can also check our current call for papers for special issues. Please complete your proposal (see the template) and send it to the Assistant Editor(editorialboard.sapub@gmail.com, editorialboard2.sapub@gmail.com).